The eagle has landed. 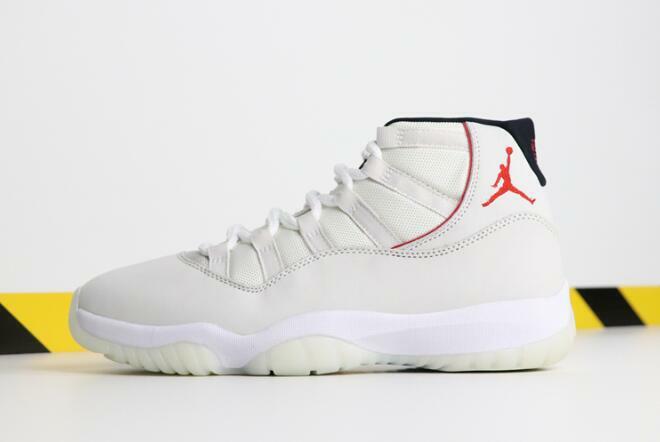 The Nike Air Jordan 11 ‘Platinum Tint’ as they are being referred to come in concord white and university red, display an array of materials and shades of white. This sneaker in hand and on foot is UNREAL and totally on another level. I was a bit skeptical that Jordan brand took out the patent leather for this version, but it really makes the shoe unique to the Jordan Retro 11 line and I feel, puts the shoe in a class by itself. Check out our full review above. So… I hope you enjoyed our initial Sneaker Unboxing / Authentication / Review of the Jordan 11 Platinum Tilts. I don’t know how many of them there will be, but it sure was fun getting to the store, copping them in my size and sharing the experience with y’all. Next articleThe Post Malone Sunflower (Into The Spider-verse) is Super Dope.